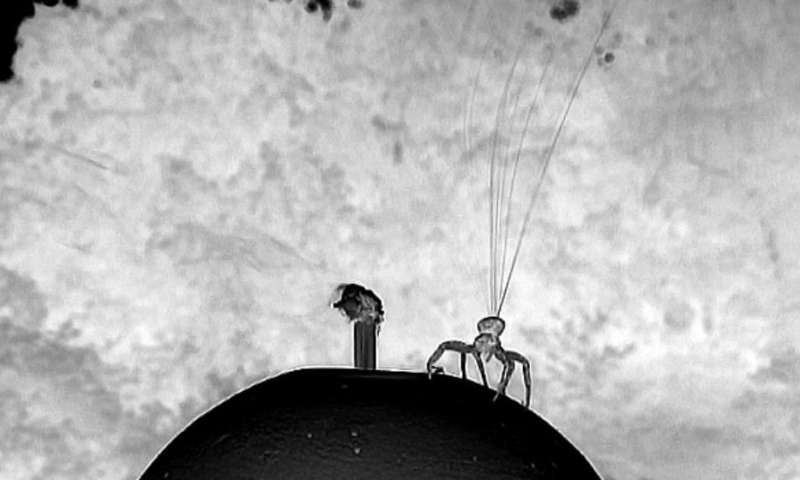 The crab spider spins out tens of fine silk fibers for its aerial dispersal. A triangular sheet of fibers is observed at the moment of the takeoff. Credit: Moonsung Cho, Technical University of Berlin.